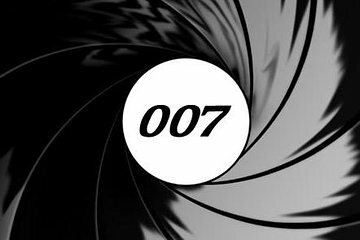 Michael, the tour guide is very knowledgeable about Bond...James Bond, and did a great job conducting the tour and including background on buildings plus other people involved which made the tour very I interesting and professional. This is almost a total walking tour. Per my Fitbit, we covered several miles on foot. There was a short bus ride. Very informative and Michael, our guide, did a great job of setting up the locations and tying them into the movies via pictures he was carrying with him. I am a moderate Bond fan and picked up some fun bits to watch for in the movies. great tour. the guide was very entertaining as well as knowledgeable. had a great time. learned more about James bond than I ever knew existed. A worthwhile tour for James Bond fans. A variety of sites featured in James Bond films were visited. Make sure you bring walking shoes as we walked for over 3 hours. Viator still had the 2016 tour times listed so we missed our tour and had to buy tickets for another day. That was super disappointing but the tour was great - once we got to go on it! Tour Guide was very interesting and informative. Got to see some amazing spots that were in the James Bond films. Enjoyed it very much. Phil was a great guy. I wish we had known the route earlier because we had walked through some of the areas earlier on our trip. Great for Bond nerds! I bought this for my husband who is a big 007 fan since forever! He loved it and found it so cool to visit the different locations where scenes were shot. It was one of the best tours we have been on.